Sveiki! Learn Lithuanian Online via Skype from Native Tutors to increase your opportunities for love, friendship, travel and business! Lithuanian belongs to the Indo-European languages. Together with Latvian it constitutes the extant Baltic group of languages. But the two languages are not mutually intelligible. Interestingly, old Lithuanian and Sanskrit have many related and closely linked words. It is considered as the oldest living Indo-European language which has preserved the most of the aspects of the proto-language which many other European languages have lost. The Lithuanian language has two primary dialects, which are Aukstaitian or Highland Lithuanian and Samogitian or Lowland Lithuanian. Highland Lithuanian is considered to be standard Lithuanian. Lithuanian is the official language of the country of Lithuania. It is also spoken in Belarus, Poland, Kaliningrad, and Latvia among others. Lithuanian has still retained many of the archaic forms which make it a very unique and interesting language. It is a melodies language and has a wonderful grammatical structure. The vowel system of the Lithuanian language too is most ancient in its style. 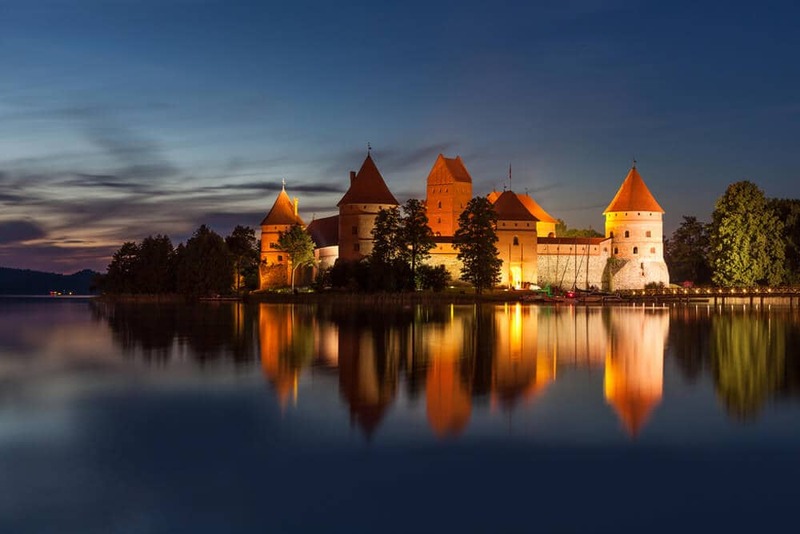 Have plans to travel to Lithuania and immerse yourself in the native culture? Planning to get a new job or expand your business in Lithuania? Here is a place to learn Lithuanian Online through Skype with our Experienced Tutors anytime anywhere! Lithuanians are very friendly people and you could probably manage to get by in this country by knowing only English. However to explore the picturesque little villages, away from touristy hot spots, some Lithuanian knowledge will no doubt prove useful. Lithuania is actually one of the fastest growing economies in the E.U. If you are planning to shift to Lithuania then learning the Lithuanian language might be a great move for you. Also if you have plans to expand your business in Lithuania knowledge of the language will certainly come handy. If you’re interested in getting started with Lithuanian language then you are in the right place. We offer online Lithuanian lessons through Skype by experienced native tutors. All you need to access our classes is broadband service and a webcam. With our one-to-one Skype lessons your will get customised lessons designed as per your objectives and level of competence. All the teachers are experienced, native-language professionals with their own area of specialization. We make sure to pair each student with the mist suitable tutor who can understand the needs nd goals of the student. Also you enjoy utmost flexibility and pick lesson times that fit around your lifestyle and learn online from any location. The prices too are very affordable as we don‘t rent expensive class rooms and so we are able to pass this advantage on to our customers. Start learning Lithuanian with us today as learning Lithuanian will result in a rewarding and enriching experience. You can now take Lithuanian classes one-to-one using Skype with a tutor of your choice. Our Lithuanian lessons are custom, effective, comfortable, and fun. Pick a tutor NOW! Choose anything specific. Whether it is conversational Lithuanian classes, business Lithuanian lessons or just learning how to greet and impress a loved one. We can help you with them all.